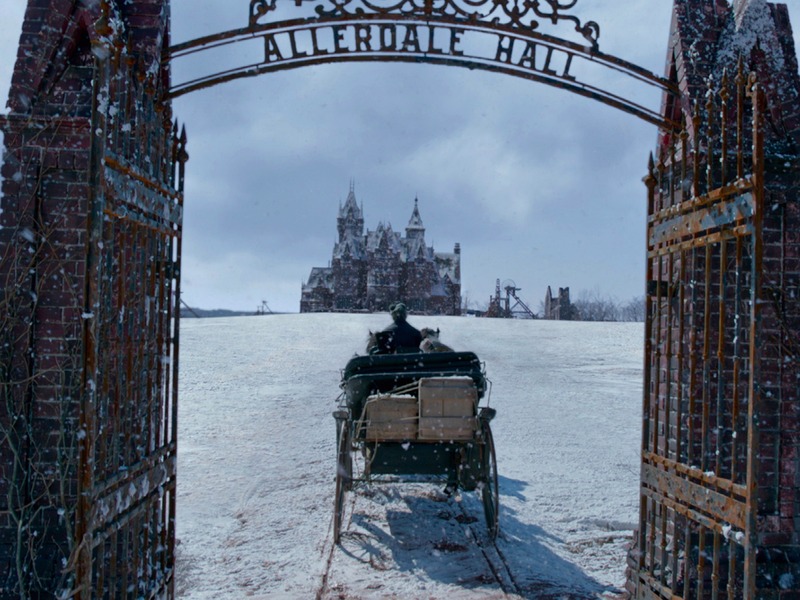 Guillermo del Toro’s Crimson Peak is a beautifully filmed Gothic romance that is bound to become a cult-classic and give the world an interesting case study in marketing. Why will it become a cult classic and be studied for years to come? It is an R-rated, $55 million Gothic romance that sunk at the international box office ($70 million), and the majority of the blame has been pointed at its inaccurate marketing. However, The market nowadays for sumptuous R-rated Gothic romances isn’t booming, so the marketers had a quandary on their hands. They could’ve marketed it as a “beautifully filmed Gothic romance,” or simply called it a “horror” film and hoped the opening weekend was huge. They went with the horror marketing, the film flopped and many people are annoyed. Crimson Peak was never going to be an initial success. You can be annoyed at this statement, but once you take off your “del Toro” blinders you begin to realize how different and off-trend this film really is. How often do we get an A-list (Jessica Chastain, Tom Hiddleston, Mia Wasikowska) cast appearing in a Gothic romance/ghost story that gets really gory at times? 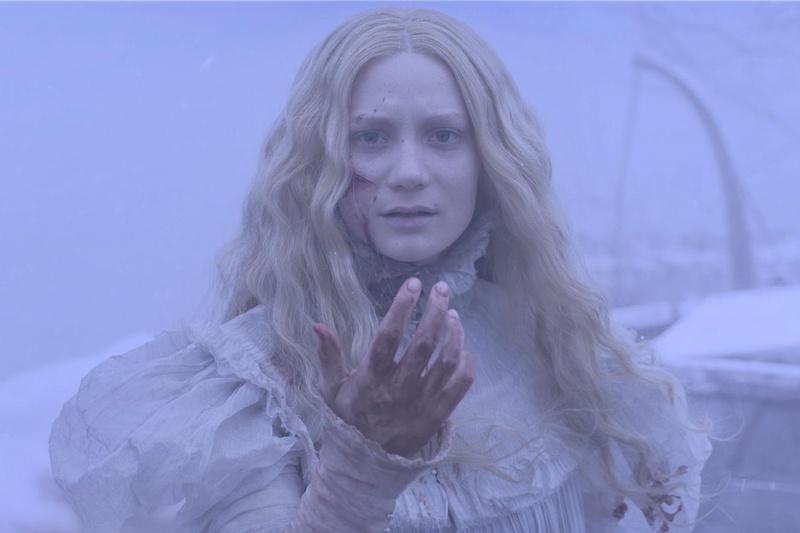 The marketing wasn’t going to help Crimson Peak because horror hounds would complain that it wasn’t a “horror” flick, and lovers of “romantic” films would be turned off by the ghosts and gore. I loved the film, and thought it was beautiful to look at, but ultimately I didn’t know who it was for. The house was 100 percent built, from the cellar to the top floor. We built in the largest soundstage in North America. We built a working elevator, working tap water, working fireplaces. It took about seven months to layer it on paper and about six or seven months to build it physically. Every day I would supervise the paint job, the woodwork, the arranging, the decorating. It was truly a titanic labor. If you’ve been a fan of director Guillermo del Toro for sometime you know his films are really hard to place in a box. Whether it be Kronos, Pan’s Labyrinth, Hellboy, Blade 2, Pacific Rim or The Devil’s Backbone the world never knows what they are going to get. Will it be the best “horror” film of the 21st century or will it be an incredibly dumb movie about robots punching monsters? Del Toro has a tendency to do what he wants (which is great) and build incredibly intricate worlds/sets that his core audience loves. However, the mainstream only mildly embrace the magic, and this leaves del Toro’s films to scratch and claw at the box office. To be a Del Toro fan you need to embrace the roller coaster and trust that he doesn’t follow trends. Crimson Peak will find its audience eventually, but I wouldn’t blame the marketing on the box office failure. Marketing campaigns have been wrong before, but I 100% believe they had no idea what do to with this interesting ghost story. I am really happy that del Toro continues to make movies and I hope he will go back to the low-budget beauties that he told early on. He could avoid studio meddling and make the films he wants to make. He doesn’t need massive sets and CGI, he needs to tell a story uninterrupted by external forces. 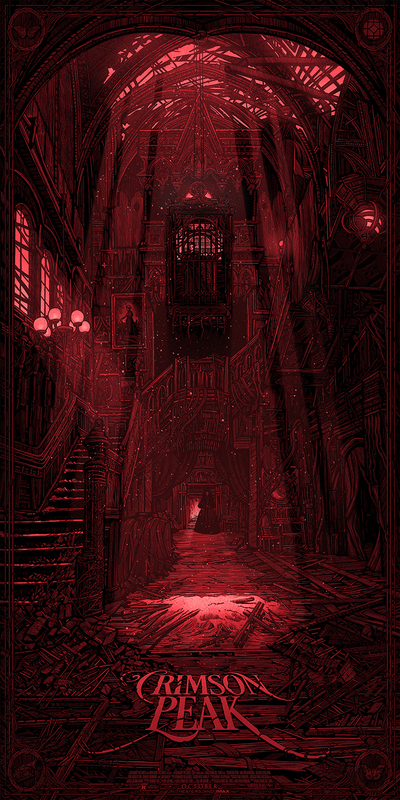 What did you think about Crimson Peak? ← The Devil’s Sword (1984), a bonkers Indonesian martial arts fantasy B-movie. I was disappointed with the film as I was hoping for something far more scary; however, I do recognize that the movie itself was well done and truly a wonder for the eyes to behold. A enjoyed the movie a lot, but was HUGELY disappointed by the weak story (IMO) and very rare scares. I wanted a more proper haunting, not a haunted gothic romantic murder mystery. That was sold SCARY, stupid marketing! Looked very pretty, but not much of a story, unfortunately. Nice review.